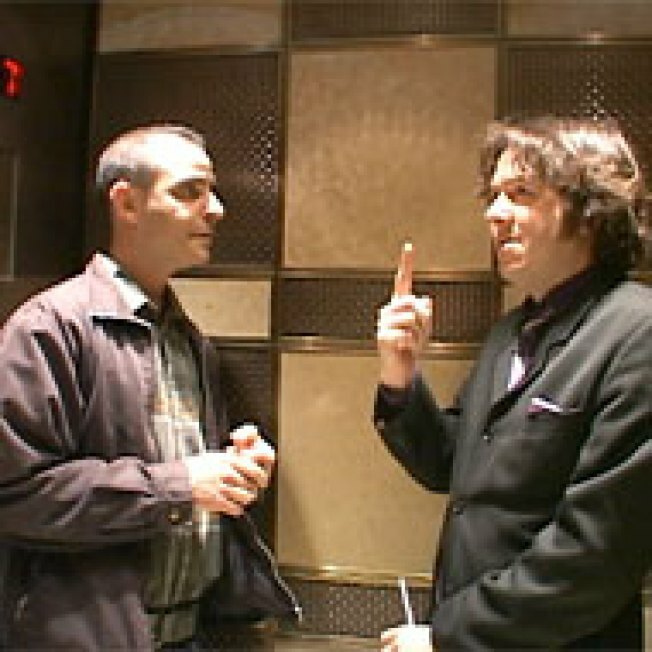 Comedian Dave Hill and writer David Rakoff took a short-lived elevator ride in New York's offices this week, until security gave them the boot. Instead, they played in our boardroom, drank our beverages, and discussed the extreme gayness of the cast of Jackass. "They can't keep their clothes on, and they can't keep things out of their asses," said Rakoff. For more arch cultural commentary, watch the video.